Tickets: $10 Students, $12 Adults or buy a labPASS for only $50! 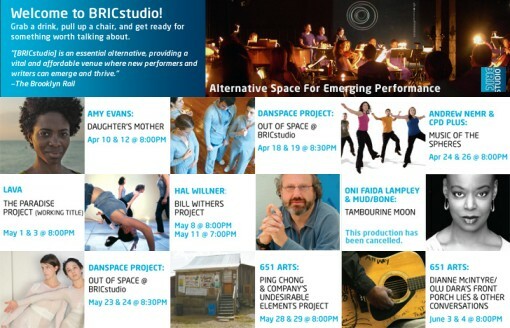 Usually, there is some overlap between the BRICStudio season and the Celebrate Brooklyn! lineup, and this year is no exception. On May 8 and May 11 you can catch workshop presentations of Hall Willner’s Bill Withers Project which will have its premiere at Celebrate Brooklyn! Saturday, August 9.